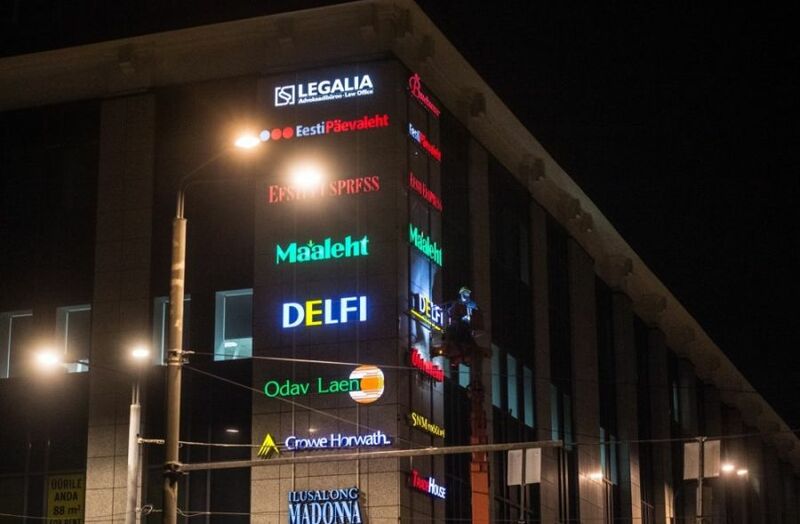 According to the sale and purchase agreement signed on Thursday, August 2, the leading Estonian media concern Ekspress Grupp is buying Delfi, the leading Baltic Internet portal operating in Estonia, Latvia, Lithuania and Ukraine. The purchase will provide Ekspress Grupp in three Baltic countries a leading position in the most promising media sector – in the online advertising market. Hans H. Luik noted that Delfi is the only online media enterprise covering the entire Baltic region. Delfi purchased for 54.05 million euros (about 846 million crowns). Ekspress Grupp finances the deal with funds received from the open sale of shares and a bank loan. The condition for the entry into force of the transaction is the relevant decision of the Estonian Competition Department. Magnus Sonnorp, Chairman of the Board of the current owner of Delfi Interinfo, stressed the phenomenal development of the company over the past three and a half years: “Ekspress Grupp has very good positions in order to accelerate and further develop Delfi.” Sonnorp added that if at the beginning the owners plan was to sell Delfi in 2008 at an auction, the Ekspress Grupp offer, as well as the strategic correspondence between the two companies, convinced them to accept the offer. AS Delfi owns 7 Internet portals: Estonian and Russian-language portals in Estonia and Latvia (www.delfi.ee, rus.delfi.ee, www.delfi.lv ja rus.delfi.lv), two portals in Lithuania (www. delfi.lt ja www.centras.lt), as well as the news portal in Ukraine (www.delfi.ua). Delfi Group sales revenue in 2006 amounted to 90.2 million kroons. The number of Delfi users in the Baltic countries at the end of 2006 was 1.8 million, and about 700,000 people visit the portal every day. According to Delfi, the share of the group’s portals in the Baltic advertising market is 45-48 percent. The Delfi portal operates in the form of three local enterprises, one in each Baltic State. Ekspress Grupp (www.egrupp.ee) is a media concern whose products consume more than 60% of Estonian population. The group as subsidiaries is owned by Eesti Ekspressi Kirjastuse AS, Rahva Raamat AS, AS Printall, AS Ekspress Hotline with its subsidiaries, UAB Ekspress Internet. Affiliated companies include Eesti Päevalehe AS, AS SL thtuleht, AS Ajakirjade Kirjastus, AS Express Post, OÜ Netikuulutused, AS Linnaleht and UAB Medipresa. Ekspress Grupp has signed a preliminary contract for the purchase of shares of Maaleht. The turnover of Ekspress Grupp in 2006 amounted to 929 million crowns and the net profit of 94 million crowns. The group employs approximately 2,000 people. The press conference on the deal will take place on August 2 at 4 pm in Tallinn in the Omega conference center of the Olympia hotel.